Wide Establishing Shot Of A Cemetery With Many Headstones And Large Trees. 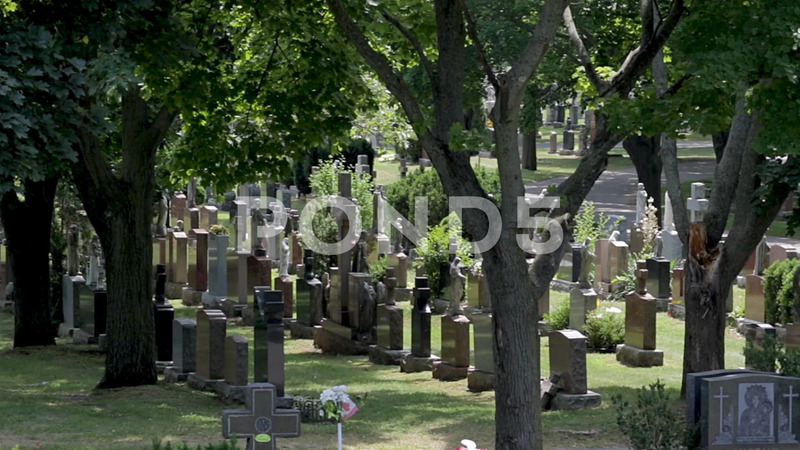 Description: Wide establishing shot of a cemetery with many headstones and large trees. Sunny summer day at a grave yard. Panoramic view of a cemetery in the city.